We don’t understand the changes in the amplitude and period of oscillations over the past 3 million years, as shown in Fig. 2.2. 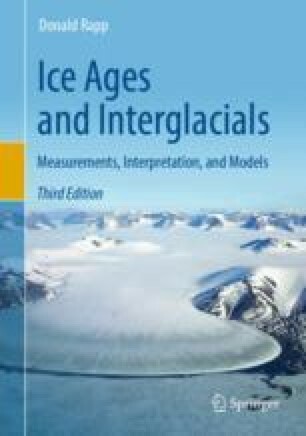 We don’t understand the occurrence of rapid changes in Greenland temperatures during Ice Ages. Every one of the nine terminations occurred at the start of an up-lobe of the solar input as governed by precession. See Fig. 11.3. Many of the up-lobes in the solar input as governed by precession, did not produce a termination. Only the up-lobes that were associated with a termination, were preceded very large, short-term levels of dust recorded in ice cores, suggesting that the ice sheets were covered by dust in those instances. These facts suggest that an up-lobe in the solar input as governed by precession is necessary for a termination to occur, but not sufficient. Only when the up-lobe is preceded by large amounts of dust deposition, does a termination occur.